A good deal has been said about the School Rebellion of 1873. Dr. Mitchinson regarded it as a mere instance of insubordination and dealt with it in his customary way of caning everyone connected with it, but really it was a symptom of something much deeper. Boys in their own homes were no longer treated by their parents as their grandfathers had been and they were not ready to submit to the out-of-date treatment at School. 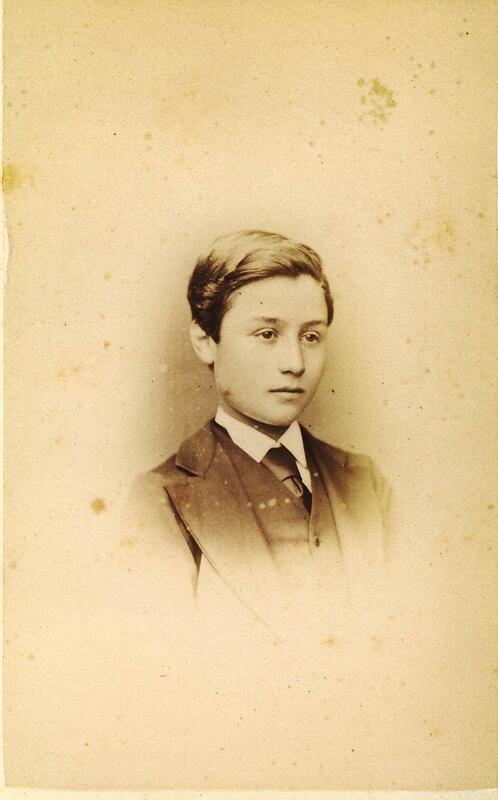 But what brought matters in the School to a crisis was the fact that the Captain of the School, Tommy Field (the late Dr. Field), had gone to Oxford to spend the term there and the head of the School was now a boy who was a brilliant classical scholar, but wholly deficient in the qualities of rule and government and who expected the same obedience to be paid to him as to his predecessor. We had indeed a hard time. In School mistakes were treated with the utmost severity. Dr. Mitchinson, for example, regarded a bad mistake in an exercise as an affront to himself and instead of pointing out the error and the way to avoid it in the future be merely knocked the culprit down. Out of School the monitorial system, excellent in many ways, was carried out ruthlessly by those who had little experience or sympathy. Our food was bad, quite inadequate as to modern requirements and we were often really hungry. We were no longer content to accept such conditions without demur. And so it happened that over 50 boys decided to run away from the School on a certain date. This plot came to the ears of the Headmaster, who had the whole lot listed for a caning, which he proceeded to carry out – so many each day. Before he could complete his task be had left the School, having been appointed Bishop of the Barbados Islands – and I was one of the fortunate tail enders to miss the chastisement. With the advent of Dr. Blore and his gracious wife an immediate change took place in the general atmosphere and a more humane tone was spread abroad. The last thing I wish to do is to attribute blame to Dr. Mitchinson – he was brought up in a hard school himself and he naturally continued it, but I have every reason to speak gratefully of him and on the last occasion that I saw him in the Masters’ Lodge at Pembroke College, Oxford, I asked for his blessing. One morning, about noon, in the Easter term I think, we were all seated in a class room in the Grange. The subject was history and our Master, Mr. Gordon. I felt sure I would be kept in as I had not studied up the subject sufficiently. My luck, however, stood me in good stead once again, for a boy burst into the class room yelling out, “The Cathedral is on fire”. That ended the class, for we all rushed out on to the Green Court to watch. The roof from Bell Harry Tower to the East End was ablaze. Repairs were being carried out in the roof and a workman upset a brazier or something of the sort and the rafters caught alight. Molten lead was pouring down from the roof. However, it was extinguished in a few hours. Souvenirs were soon obtainable at a moderate price and I am the proud possessor of a photo frame made from the rafters and the molten lead. About 1934 I had the pleasure of meeting Arthur Scratton at his house on the West Overcliff drive, Bournemouth. We had not met since our school-days and as we shook hands on his front doorstep we both exclaimed, “60 years!” Since then he had travelled over S. America and I had lived in India. Scratton was a great humorist and I reminded him of an incident at Hodgson’s Hall on the Green Court – one half of the Hall a master lived in and the other half was a class room. Even in those days American tourists used to stroll in to have a look inside. Scratton took advantage of this one day when the coast was clear. He stuck a large notice on the outside of the front door, “Step inside and see Becket’s bones”. He left the door ajar and over it laid a booby trap with a bucket of water. It worked beautifully – the Yanks duly arrived and were well and truly baptised. Fortunately Scratton got away with it. Joe Pollard was a great character – he was the only boy who humbugged Dr. Mitchinson, who thought he was defective as he could never do his repetition of the Epistle. He told me it was quicker to take his customary punishment of writing it out three times than attempting to memorise it. He was fond of wandering in the Crypt and used to get in unawares through a grating. One day he was down there well hidden and a guide was taking a party of visitors round – the guide had just told them that the Crypt was reputed to be haunted, when an old gentleman, poking his stick round, stuck Pollard in the face, who grabbed the stick, whereupon the old gentleman ran for his life to join the party, leaving his prop behind. I believe in later years Joe Pollard became a distinguished Skin Specialist. The School in those days consisted of about 80 boys – there was only one House, the School House. Any surplus used to sleep in the Grange. 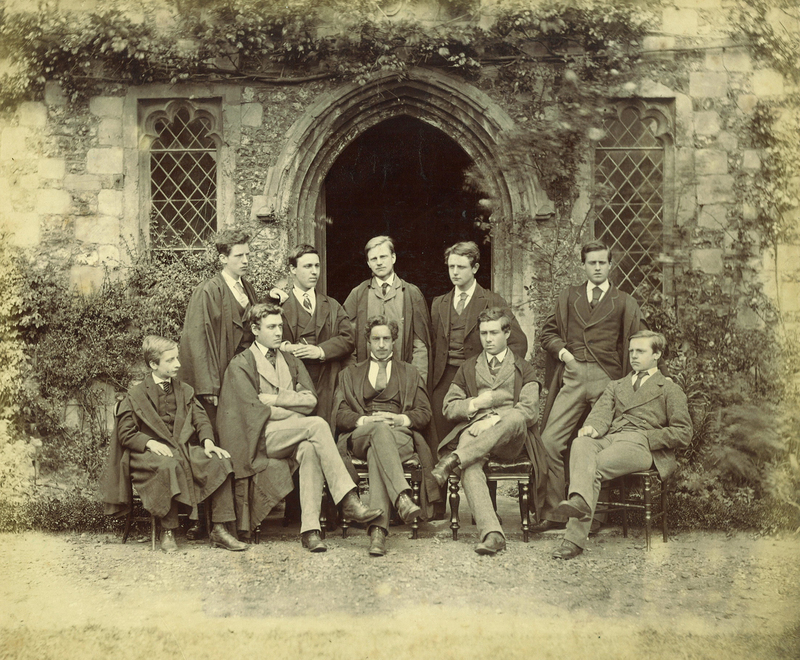 Self; Thomas, Robert, Edward, Charles, Henry, Jack: my six brothers (Henry and Jack are the only ones now alive); Arthur, my son; Horace Hayes my son-in-law (who had three brothers at the School); Willoughby Hayes, Walter Hayes, my grandsons; and Richard Bendyshe, my cousin. Canon Francis Nelson Crowther (1857-1949) was at King’s from 1871 to 1877. He went to Corpus Christi College, Cambridge and was ordained. After a brief spell as a schoolmaster he was a Chaplain in Madras, and then Vicar of Aston Rowant (1904-14) and Pyrton (1914-25). These reminiscences were published in The Cantuarian December 1947.